Marie Bjelke Petersen wrote nine novels, many of which were set in the Tasmanian bush. Jewelled Nights (published in 1923) featured a runaway bride who sought her fortune in the osmiridium fields in Tasmania’s West, where miners panned and dug the precious metal that tipped gold fountain pens around the world. Petersen’s novel was brought to the silver screen by the Australian silent film star, Louise Lovely. Born Nellie Louise Carbasse in New South Wales in 1896, she went to Hollywood in 1914, where she became a leading lady. The two women met in Hobart in 1924 when Lovely was on tour with her husband, Wilton Welch. Taken with Petersen’s tale of romance, mining, and cross-dressing, Lovely wrote the screenplay, directed, produced, and starred in the film. 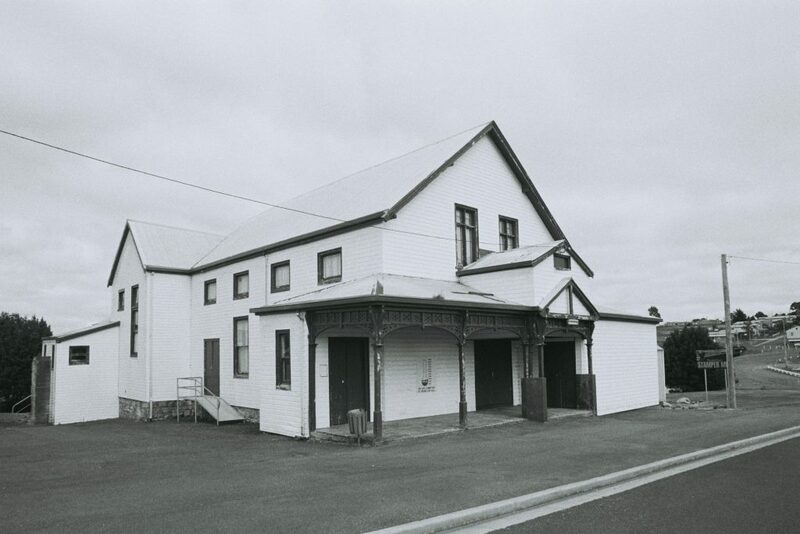 Petersen’s account of the filming (together with some other manuscripts) are in the Tasmanian Archives and Heritage Office. Despite its popularity, the film wasn’t much of a financial success for Lovely or for Petersen – it lost £3000, and there were no international sales. The film itself has now been lost, but a 2-minute excerpt has survived, and it’s considered to be a lost classic of Australian cinema. The film might have vanished, but you can still play the soundtrack! TAHO has one of the few copies of the sheet music for the “Jewelled Nights Song Fox Trot.”Since this blog was originally written in March of 2018, the National Film and Sound Archive (NFSA) in Canberra has acquired two letters from Louise Lovely to one of her devoted fans, together with one of the costumes she wore in the film. And as one of our readers kindly pointed out on the original blog, “Belinda Holloway and family have loaned Louise Lovely’s travelling trunk to the TMAG,” and it periodically features in school holiday programs, exhibition talks and tours. As for Louise Lovely and Marie Petersen, both ultimately ended up in Hobart. Lovely returned to Tasmania with her second husband, Burt Cowan. They lived in Lower Sandy Bay and she managed a sweet shop next to the Prince of Wales cinema, which Burt managed. Marie Petersen died in Lindisfarne in 1969. Nic Haygarth, On the Ossie. Hobart, Forty South Publishing, 2017. Warren Boyles, “The Jewelled Nights of Miss Louise Lovely” Forty Degrees South (No 6, August 1997): 50-55. Belind Holloway and family have loaned Louise Lovely’s travelling trunk to the TMAG. Worth looking at. Thanks very much for that information, Karolina!